Inflacam Granules contain Meloxicam, an NSAID (Non Steroidal Anti Inflammatory Drug). 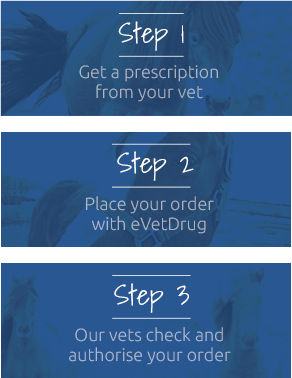 They are formulated to treat both acute & chronic musculoskeletal conditions in horses eg laminitis; osteoarthritis. Inflacam Granules are also antipyretic (lowers fevers), anti-endotoxic, anti-exudative & have a low ulcerogenic potential. They work by inhibiting the body from synthesising prostaglandins, which facilitate pain & trigger inflammatory processes & pyrogens (substances which cause a fever). They are apple flavoured, so should be palatable to your horse. Administer to your horse in a feed. One sachet is a daily dose for a 500-600kg horse, feed as one dose, do not divide into two smaller doses.